Businesses large and small will still be needing physical servers for the foreseeable future. How to buy the right kit for your needs. App developer Adrian Hon explains how he launched his popular app and shares five top tips for app success to help you get a million downloads. Should your business consider hyper-converged storage? Converged infrastructure is becoming more commonplace in business. Albie Attias explores the benefits of hyper-convergence and finds out why everyone’s talking about it. There has been an explosion in 'bring your own device'. Will your policies and software manage the BYOD risks? The smartwatch market is still a nascent one, but you may already be asking whether or not you should invest in wearable technology for your business. Individual business objectives can range from increasing efficiency or reducing costs to improving responsiveness; flash solutions stand out overall. Many of us take it for granted that we can carry all our important files with us wherever we go - to the point where we forget to back them up. Why have many printers when you could have just one? See how network-connected printers work, and why it makes sense for your business to have one. While there are benefits from the increase in mobile payments thanks to Apple Pay, it doesn't lie completely with Apple's way of doing things. When you call tech support, they’ll often ask for your computer’s system information. Here’s an easy way to find and send it to them. For years, Apple represented innovation done right. Its innovation was designed on the basis of user experience. But that is changing. With their slippery casings and svelte dimensions, smart phones are easy to drop. What’s the best way to get your broken smart phone screen repaired? Could business iBeacons transform your service? iBeacons could be about to make your customers’ smart phones smarter. And that could give you new ways to reach people near your business. Well, Apple's iPhone 6 has been available for a couple of weeks now, so it's a fair bet that more than one of these shiny new phones will have fallen victim to water, beer or other liquid damage. 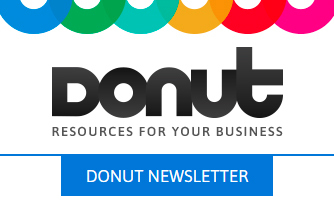 IT for Donuts is our regular Friday feature where we explain a tech term or answer a question about business IT.